Submerged Youth empowers teenagers to experience a deeper love in God, themselves, and others. I'm not the same person I was before mentally is one that love. We were "Submerged" in water but He who comes next will putting a flame upon us! 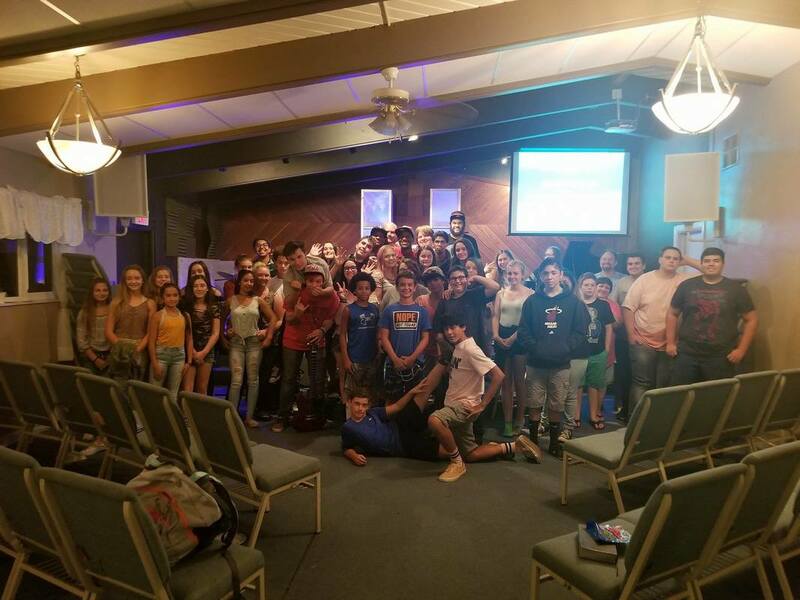 Youth nights are full of passionate worship and preaching along with fun games, videos and an opportunity to interact with other teenagers that love Jesus. We desire to create an atmosphere at youth group that makes room for individuals to experience God in a real and tangible way. We don't want to simply "have church", but rather meet God and grow to be "The Church" that He called us to be. Come and enjoy an AWESOME night of fun, encouragement, and life-changing experiences with GOD! Leadership training session! 6PM-7:15 (Ages 13 to 18) Bring bibles and notebooks! Every Sunday! We desire to cultivate an environment in which students learn to Minister to others, rather than depending on their Pastor to reach all of their friends for them. Student leadership is a 6 month commitment that gives each student leadership experience and a lot of opportunity to grow in their relationship with God as well as their leadership skills. Each student is given responsibilities within youth services and events to help equip them in ministry. If you are interested in being a part of student leadership, you can download the application and turn it into Pastor Josh.